Credit Suisse has terminated XIV due to a greater than 80% drop in its indicative value on 5-Feb-2018. The final payout was $5.99 per share. The last day of trading was the 15th of February. For more on what caused XIV’s crash see this post, for more info on the XIV termination process see this post. VelocityShares’ XIV and its sister fund ZIV are designed to go up when the volatility of the S&P 500 goes down. XIV has a shorter time horizon (1 to 2 months) whereas ZIV has a 5-month timeframe. To have a good understanding of how XIV works (full name: VelocityShares Daily Inverse VIX Short-Term ETN) you need to know how it trades, how its value is established, what it tracks, and how VelocityShares (and the issuer— Credit Suisse) make money running it. XIV trades like a stock. It can be bought, sold, or sold short anytime the market is open, including pre-market and after-market time periods. With an average daily volume of 29 million shares, its liquidity is excellent and the bid/ask spreads are a penny. Unfortunately, XIV does not have options available for it. However, its Exchange Traded Fund (ETF) equivalent, ProShare’s SVXY does, with five weeks’ worth of Weeklys with strikes in 50 cent increments. Like a stock, XIV’s shares can be split or reverse split—but unlike VXX (with 5 splits since inception) XIV has only split once, a 10:1 split that took its price from $160 down to $16. Unlike Barclays VXX, XIV is not on a hell-ride to zero. XIV can be traded in most IRAs / Roth IRAs, although your broker will likely require you to electronically sign a waiver that documents the various risks with this security. Shorting of any security is not allowed in an IRA. How is XIV’s value established? Unlike stocks, owning XIV does not give you a share of a corporation. There are no sales, no quarterly reports, no profit/loss, no PE ratio, and no prospect of ever getting dividends. Forget about doing fundamental style analysis on XIV. While you’re at it forget about technical style analysis too, the price of XIV is not driven by its supply and demand—it is a small tail on the medium-sized VIX futures dog, which itself is dominated by SPX options (notional value > $100 billion). 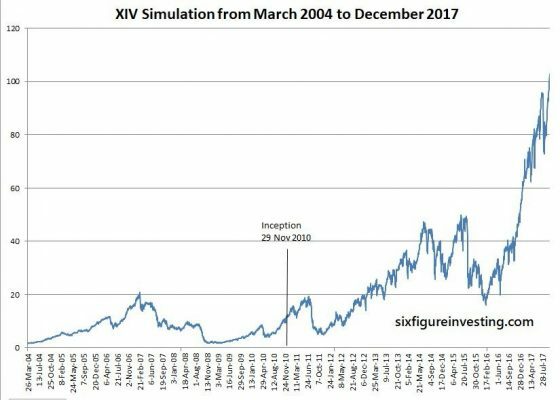 The value of XIV is set by the market, but it’s tied to the inverse of an index (S&P VIX Short-Term Futurestm) that manages a hypothetical portfolio of the two nearest to expiration VIX futures contracts. Every day the index specifies a new mix of VIX futures in that portfolio. This post has more information on how the index itself works. The index is maintained by the S&P Dow Jones Indices and the theoretical value of XIV if it were perfectly tracking the inverse of the index is published every 15 seconds as the “intraday indicative” (IV) value. Yahoo Finance publishes this quote using the ^XIV-IV ticker. Wholesalers called “Authorized Participants” (APs) will at times intervene in the market if the trading value of XIV diverges too much from its IV value. If XIV is trading enough below the index they start buying large blocks of XIV—which tends to drive the price up, and if it’s trading above they will short XIV. The APs have an agreement with Credit Suisse that allows them to do these restorative maneuvers at a profit, so they are highly motivated to keep XIV’s tracking in good shape. XIV makes lemonade out of lemons. The lemon in this case is an index S&P VIX Short-Term Futurestm that attempts to track the CBOE’s VIX® index—the market’s de facto volatility indicator. Unfortunately, it’s not possible to directly invest in the VIX, so the next best solution is to invest in VIX futures. This “next best” solution turns out to be truly horrible—with average losses of 5% per month. For more on the cause of these losses see “The Cost of Contango”. This situation sounds like a short sellers dream, but VIX futures occasionally go on a tear, turning the short sellers’ world into something Dante would appreciate. Most of the time (75% to 80%) XIV is a real money maker, and the rest of the time it is giving up much of its value in a few weeks—drawdowns of 80% are not unheard of. 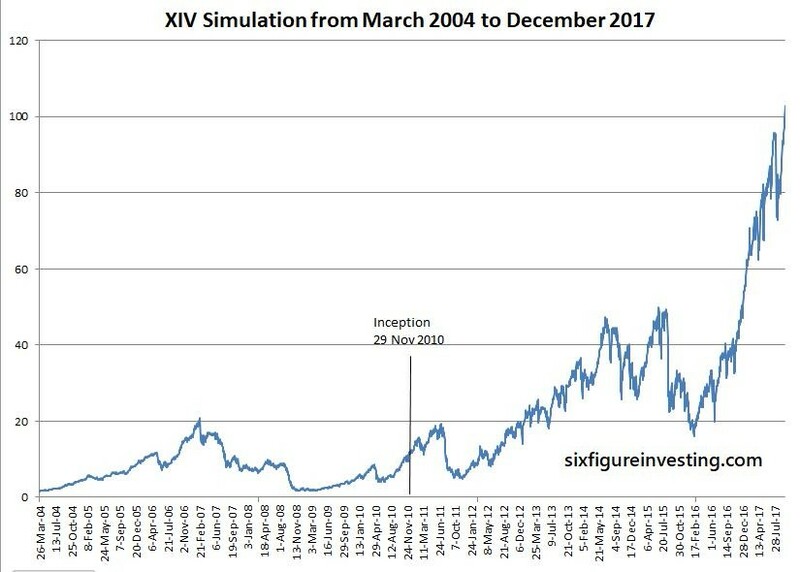 The chart below shows XIV from 2004 using simulated values. There are some very good reasons for this rebalancing, for example, a true short can only produce at most a 100% gain and the leverage of a true short is rarely -1X (for more on this see “Ten Questions About Short Selling”. XIV, on the other hand, is up almost 200% since its inception and it faithfully delivers a daily move very close to -1X of its index. How do VelocityShares and Credit Suisse make money on XIV? Credit Suisse collects a daily investor fee on XIV’s assets—on an annualized basis it’s 1.35%. With current assets at $1.3 billion this fee brings in around $17 million per year. That should be enough to cover Credit Suisse’ XIV costs and be profitable. My understanding is that a portion of this fee is passed onto to VelocityShares for their technical and marketing activities. I’m sure one aspect of XIV is a headache for Credit Suisse. Its daily reset construction requires its investments to be rebalanced at the end of each day, and the required investments are proportional to the percentage move of the day and the assets held in the fund. XIV currently holds $900 million in assets, and if XIV moves down 10% in a day (the record negative daily move is -24%, positive move +18 %) then Credit Suisse has to commit an additional $90 million (10% of $900 million) of capital that evening. If XIV goes down 10% the next day, then another $81 million infusion is required. 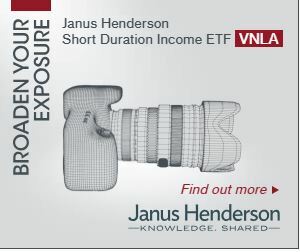 Unlike an Exchange Traded Fund (ETF), XIV’s Exchange Traded Note structure does not require Credit Suisse to report what they are doing with the cash it receives for creating shares. The note is carried as senior debt on Credit Suisse’s balance sheet but they don’t pay out any interest on this debt. Instead, they promise to redeem shares that the APs return to them based on the value of XIV’s index. Credit Suisse could hedge their liabilities by shorting VIX futures in the appropriate amounts, but they almost certainly don’t because there are cheaper ways (e.g., swaps) to accomplish that hedge. ETFs like ProShare’s SVXY can use swaps also, but they usually just use the futures. The picture below is a snapshot of their holdings on August 12th, 2016. The parenthesis denote a short position in the futures. XIV won’t be on any worst ETF lists like Barclays’ VXX, but its propensity to dramatic drawdowns will keep it out of most people’s portfolios. Not many of us can sit tight with big losses in the hope that this time will not be different. The eye-popping inverse volatility gains in 2016 and 2017 have pushed XIV’s assets beyond VXX’s but it will be interesting to see how the next few years go. I suspect we’ll see some bloodletting when people rediscover short volatility can be very volatile in its own right.